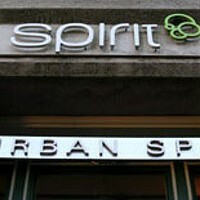 Spirit Spa does a lot of things well, which means having a lot of top-notch people on staff. Spirit’s Nathan Wessel won silver this year as Best Massage Therapist. The hair team took silver for Best Hair Salon, the nail team silver for Best Manicure/pedicure, not to mention gold for Best Spa. Spirit owner Linda Brigley obviously has an eye for talent, but she makes her hiring technique sound simple. “How they interact with clients tells everything,” she says of new staffers. “Our customer is king.” Four years ago, Spirit moved to the corner of Salter and Hollis Streets, attached to one hotel, across the street from another. “We’re surrounded by hotels,” says Brigley, “and it’s awesome to provide services to about-of-town guests. But we’re here for the locals.” The main benefit of those hotels is that Brigley’s customers are now building staycations around Spirit, with a spa day followed by dinner downtown and a night in a hotel. Ready for yours? Perfect for a birthday, anniversary or any time you just want to be treated like royalty.